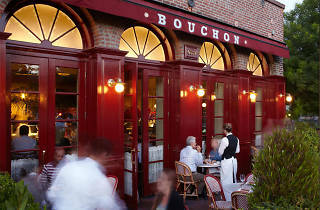 Yountville is peppered with Thomas Keller restaurants (The French Laundry, Ad Hoc), and Bouchon is yet another one of his Napa Valley triumphs. The bistro is a French affair, with things like oysters and steak frites and salad Lyonnaise peppering the menu. While not as upscale as The French Laundry, there are white tablecloths nonetheless, and an impressive wine list to boot. On weekends, a brunch menu offers chicken and waffles, a Bouchon pastry basket (swoon) and a fine herb omelet cooked to perfection. 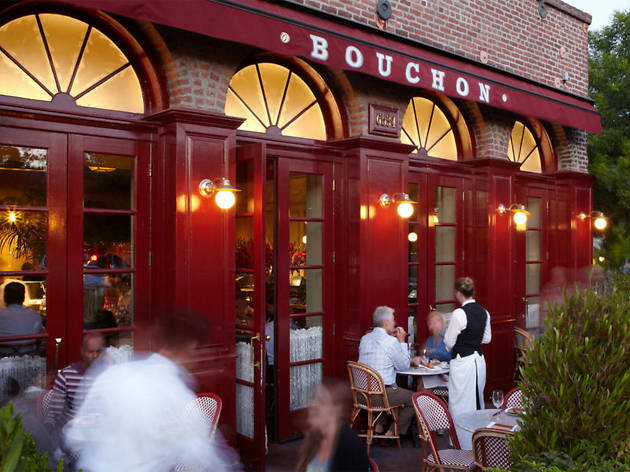 Stop by the attached Bouchon Bakery after your meal for a coffee and a cinnamon roll to go. The most delicious, delightful bakery. It smells amazing, the staff is friendly and the offerings are always fresh and inventive. Try the spiced chai latte—not too sweet, not too spicy. Then take your treat outside to the shaded café tables and feed the birds a crumble for the most decadent treat they'll ever eat.